When you take a moment to look back over a period of time, it is amazing to see how quickly things have changed. For me, this is especially true over the past year. At this time last year, I had been engaged for exactly one day, and what a great day that was! I had the opportunity to celebrate with my new fiancé, talk with my relatives and friends, and head off to my hockey game and a celebratory beer with my parents and some of the team. 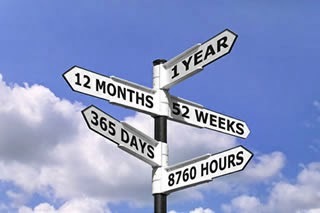 Along those lines, at this time last year I had never planned (or even thought!) about planning a wedding, let alone in less than six months. I had never been dress shopping, looked at flowers, checked out caterers or venues. This time a year ago, I was working at a restaurant just outside of Minneapolis and preparing to open a new branch of that restaurant about 15 minutes away. The amount of knowledge I gained from opening that new branch was a TON, and it was definitely a crazy and busy experience for me! At this time just one year ago, I was happy to have graduated college two years prior and had no real intentions of ever getting back in the classroom. Especially as I still had friends that were earning their degrees, and ready to move on from school and out of that world. I always intended on continuing learning and my education, just not in a formal classroom setting. This time one year ago, I was happy and content with the place my life was at. I had a great family, good friends, a wonderful fiancé, a solid job, and loved living in Minneapolis. I had no intentions of moving anywhere for some time- things were going pretty well for me right here at home. I had never even been to Sweden, let alone though about moving there. At this time last year, I was still friends with a majority of my group of girlfriends from college. As time has moved on, I've started to realize who the true friends are and focus on my relationship with them. I finally realized that if you don't want to make an effort to be a part of my life, and communicate like an adult with me, that is just fine- and I have plenty of other shoulders to lean on. My friend group had remained relatively the same for a couple of years. And now, looking back, all of this has changed. I have planned an entire wedding (with generous help from family & friends! ), gotten married, moved to a new country, weeded out crappy friends (yes, that is what they were), started to learn a new language, begun my MBA, and truly grown as a person. The past year has changed my life in so many ways, each of them for the better. Currently, I am in my last week of my first semester of grad school, and looking forward to finding a part-time job for the summer before finally departing on the long-awaited honeymoon. I'm sure life will change again over the next year, and I look forward to each of the surprises and challenges it brings!